Ccleaner error "the product is forbidden to use in your place of stay"
I installed ccleaner 5.56, latest version availible. 1 day it worked fine. 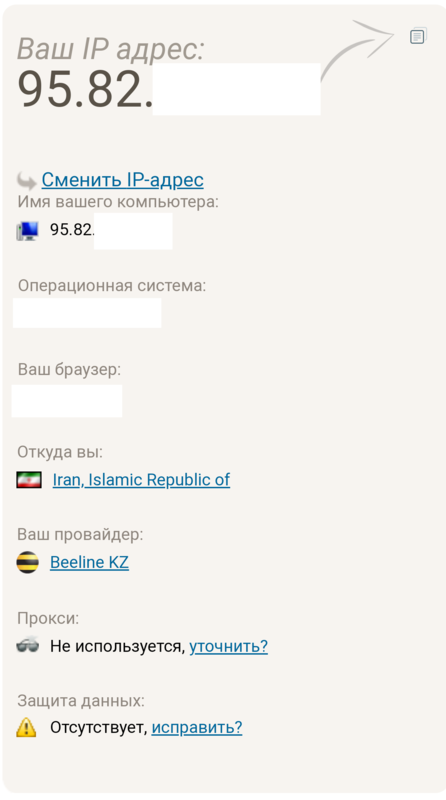 But today, I got this message: "этот продукт запрещено использовать в вашем месте пребывания", on english: "Ccleaner is not allowed in your location". P.S. I am not from Russian Federation, if this is so important. What country are you in? This message should only occur if you are in a country ccleaner doesn't/can't do business in. I am from Kazakhstan. I use ccleaner only for home use. 16 years already. I'm shocked. Ccleaner hacked again? Like in 2017 year? What is it, I dont understand? Kazakhstan is not in sanction list. Or, if I installed russian version, that means that I am from Russian Federation? Or what? 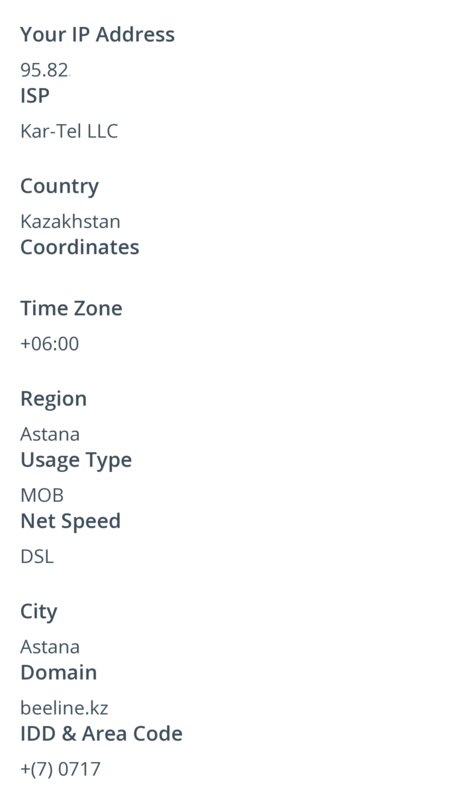 We welcome users from Kazakhstan (and Russia). 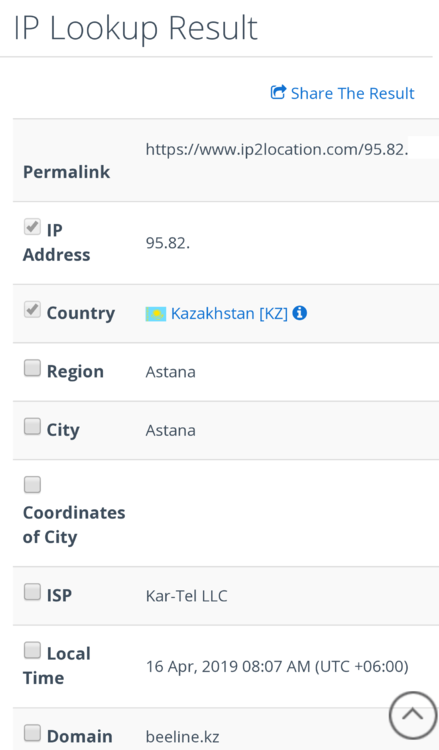 There is a known issue with some IP address ranges that were previously assigned to countries on sanction lists (North Korea, etc) still showing up as those countries on some geoIP lookup databases. If you try some sites like whatismyip.com from your home PC, what country do you show up as? Here is some screenshots I made. Some screenshots show that I am from Kazakhstan. But some of that from Iran. I dont know what to think. That situation means, that Ccleaner spying on my computer. Or Ccleaner was hacked again? Or what? 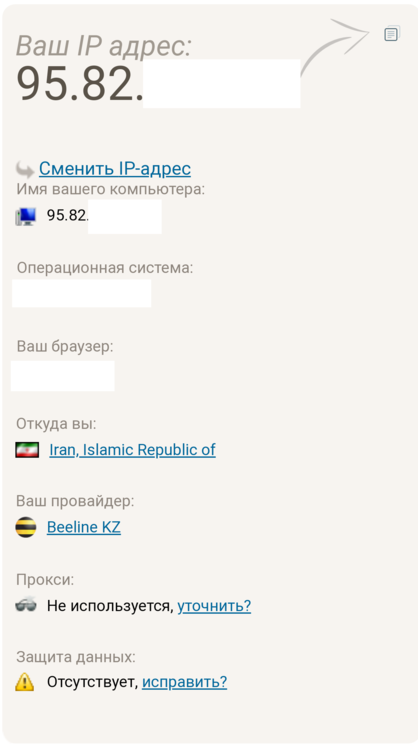 For legal reasons, CCleaner (and many other software companies) cannot permit people to use their software if they ping from an IP address in Iran. It looks like your Kazakh ISP Kar-Tel has some IP addresses that are tagged as being from Iran in some geoIP databases. If you are being assigned an IP address dynamically, you may find that next time you connect to the internet you are assigned one from a "safe" range (check db-ip.com, as that seemed to be one of the ones that was flagging you). 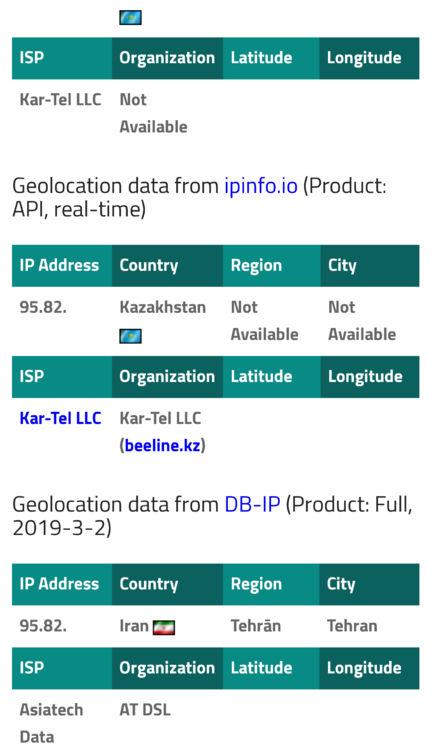 Your ISP is also likely to be working with geoIP providers to get this corrected, but most of them should have a "report wrong location" link on their IP search results page.